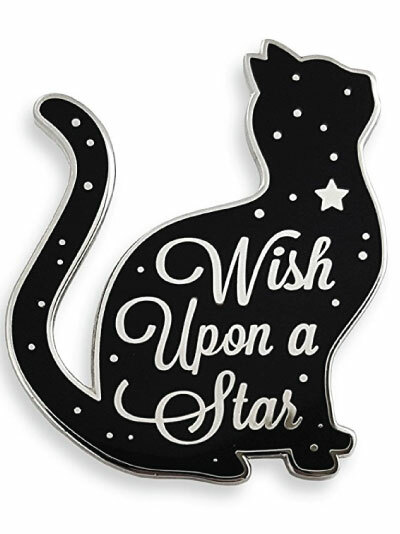 Discover more than twenty cute cat enamel lapel pins in this article. Keep them as collectibles or wear them out as part of your outfit. This year, we are publishing a number of articles on Back to School ideas that will make going back to school super exciting. Remember to check them out. 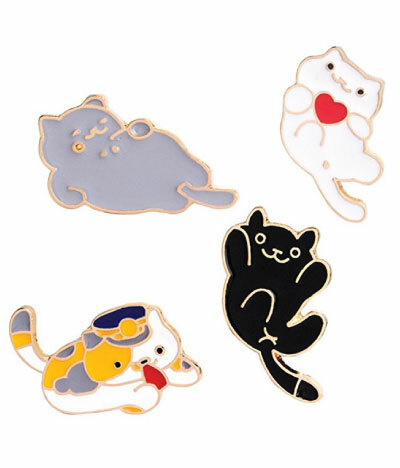 As part of the back to school series, we are also recommending cute cat pins to spice things up a little bit. 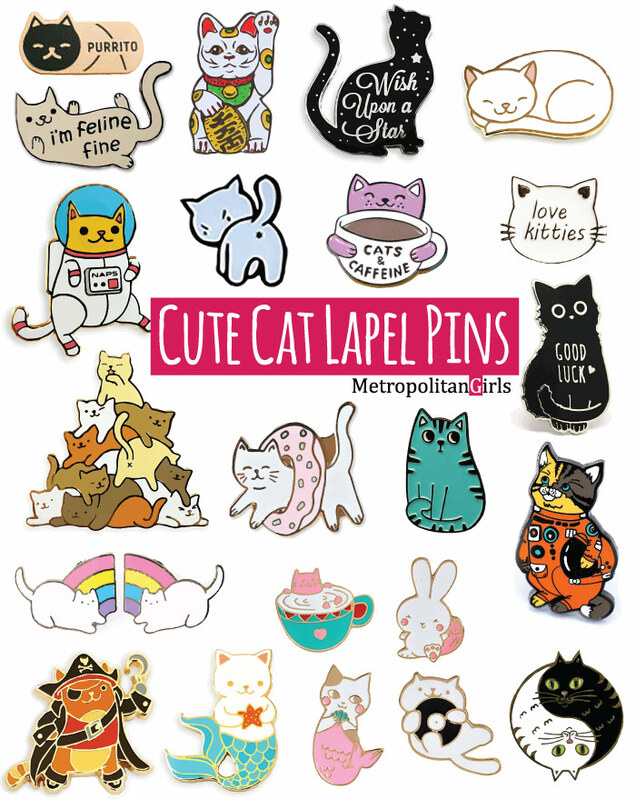 If you love cats and pins, you will absolutely adore what you are about to see. I promise! This article is dedicated to people who enjoy the companion of a cat. 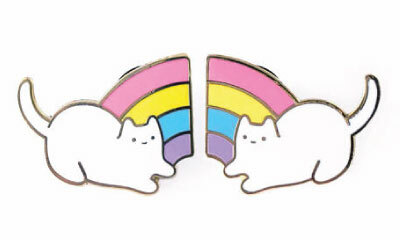 You will find 20 amazing cat pins that are cute beyond comparison. They are the perfect accessory for your baseball cap, jacket, or backpack. They are cool collectibles too, honestly, I want to collect them all! And, and.. before we get started, I just want to let you know about our cute enamel pins board on Pinterest. 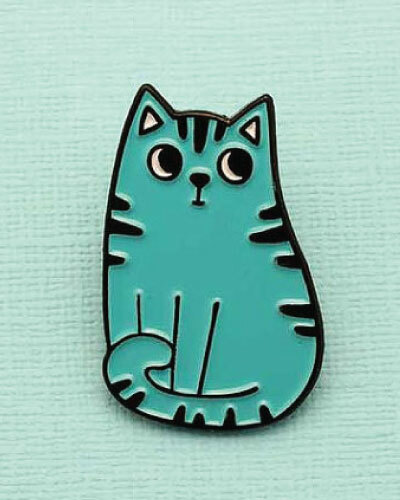 Twenty gorgeous pins featuring the majestic feline creature known as cat. 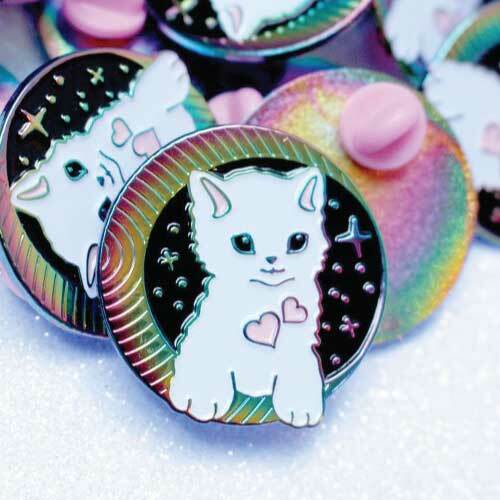 A pin that has almost everything: cute cat, cosmic, rainbow, and lots of love. Hearing a cat purrs can be a therapeutic experience. Combining purring with a delicacy called burrito and you get this adorable union — the purrito. One thing cats and donuts share in common — they are excellent ways to de-stress. 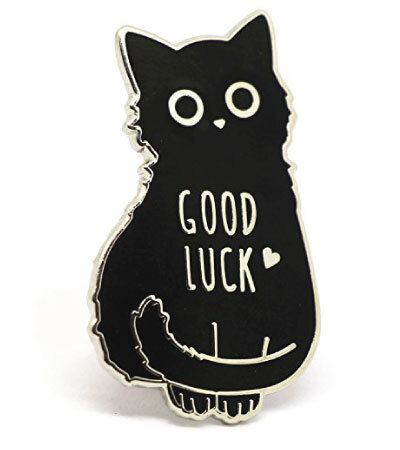 This adorable black kitten is here to wishes you good luck. Keep this lapel pin as a collectible or wear it with something that is light in color — for example, your champagne-color bag. Shhh… mind your footsteps, don’t wake up the little one. The pink-nose white kitty is taking a midday nap. He is smiling in his dreams — he must be dreaming about his favorite snack! Cat goes to space. This ambitious stripey calico is all geared up and is ready to take a small step forward on her soft paw. That one step will be a giant leap for feline kind. The stripey short-hair is a curious one, as all cats are. He thinks he heard some noise from the shelves. Without moving his body, as that would give away himself to his potential prey, he directs his eyes and ears to the direction of the noise source. If you have been good to him, maybe you will be getting a gift from him soon. What’s not to love about this kitty? She’s lying on her back, exposing her most vulnerable underbelly to you, the highest level of trust a cat can bestow upon you. She’s feline fine too. But her pupil looks fully dilated though, it could be a love trap! Ahoy! Human, would ye like t’ join me on me next voyage? One eye I may have, but who cares when one has a mighty golden hook? 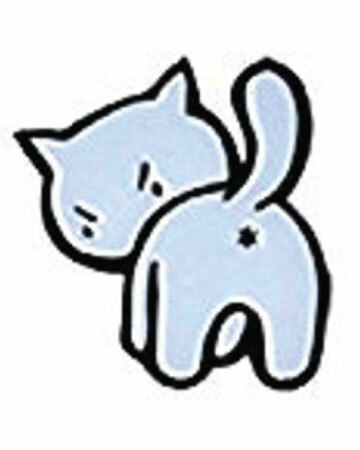 These white kittens are laying out and shaking their bum-bums. They look like they are ready to do some pouncing anytime now. But wait there’s more, there’s the rainbow. 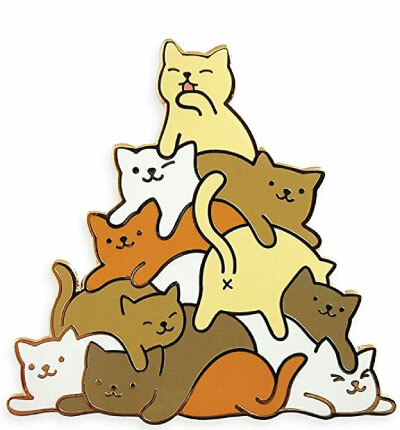 A pyramid of your favorite feline creature. 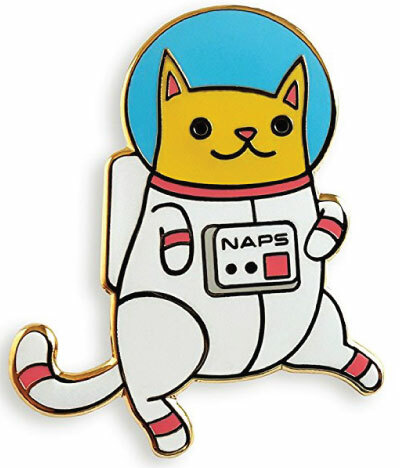 If quantity is what you look for, this enamel pin is your ultimate prize. Nothing beats sipping a cup of perfectly brewed coffee and being accompanied by your cat. For me, that’s my definition for a perfect Sunday afternoon (or morning). 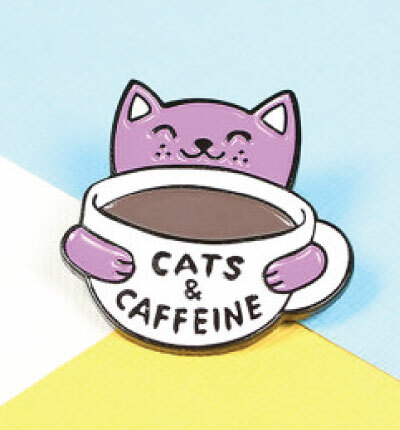 If you love coffee and cats, you will thoroughly enjoy this special pin that is seemingly made just for you and you alone. 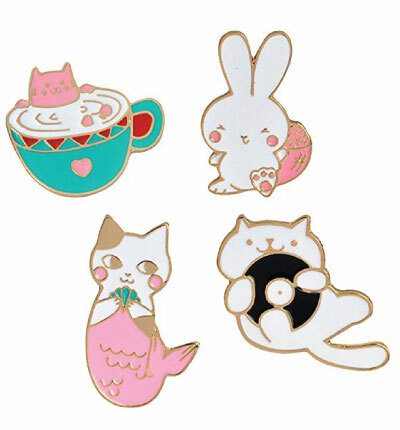 Four kitten lapel pins in one amazing pack: cat in a cup, mermaid cat, cat holding a vinyl record, and a blushy rabbit who has sneaked into the cat pack! In the outer space, there’s no gravity. Bizarre things happen in a zero-gravity environment. You’re in your space station looking out the window. All of sudden, a cat in spacesuit floats by. 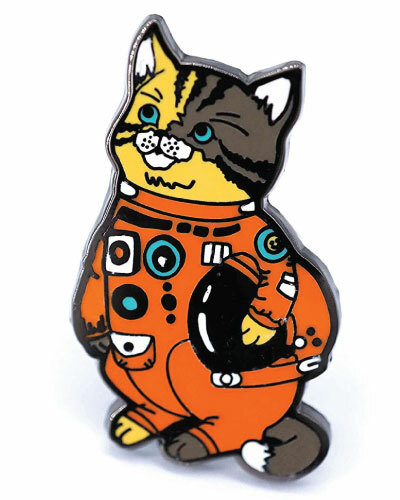 You are startled for a tenth of a second before realizing that’s just your space kitty going out for a spacewalk. Neko Atsume is a cat collection game made by the Japanese. I’m sure there are some people who are still playing it, but it was much bigger a few years ago. There’s a trace of the characters from the mobile game in these lapel pins. 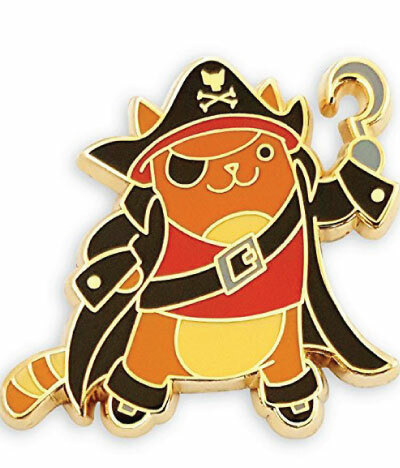 Maybe the pin designers have drawn inspiration from the game. Btw, have you seen these Neko Atsume craft ideas? Yin & Yang is a Chinese concept that has been adopted by many cultures. The core idea is about maintaining balance. 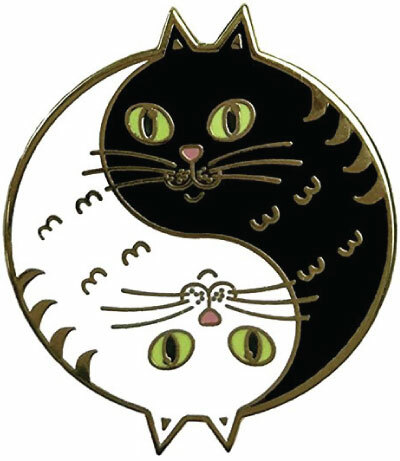 This pin combines the yin & yang symbol with a white cat and black cat. Wear this as part of your favorite street outfit or on your school backpack. 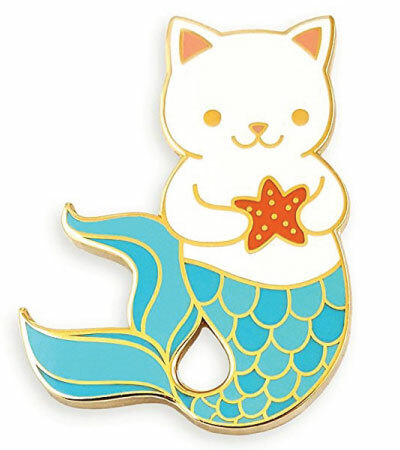 Whoever first thought of a cartoonish mermaid cat (mercat?) deserves a medal. They look so adorable. I bet this pin looks amazing on your denim jacket. Take pride in yourself, keep your chin high just like this proud kitty. 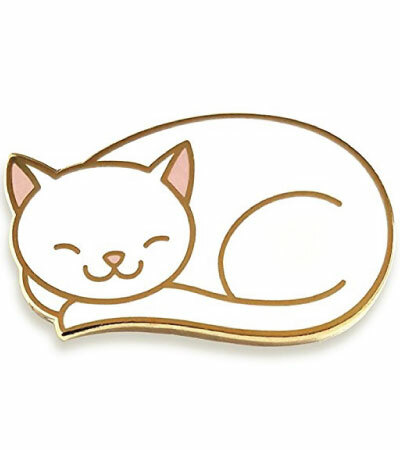 Sassy lapel pin featuring a white cat’s rear. 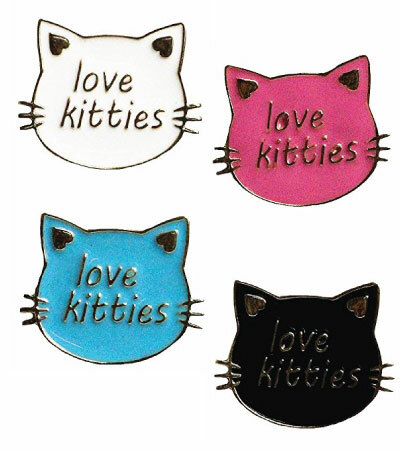 Declare to the world your love for the feline kind with these colorful enamel pins. Find out how you can rock a cute pin like this as a man. Inspiration from the Far East. 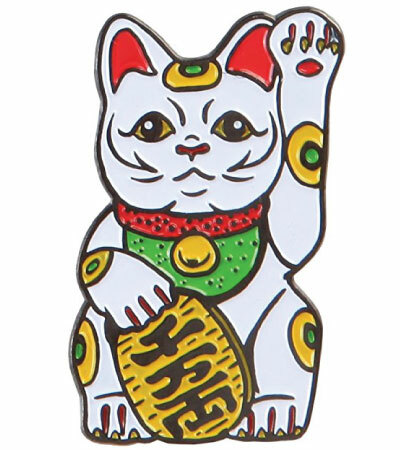 The Japanese lucky cat (Maneki-neko — which literally means beckoning cat) is said to bring fortune and good luck. Well, good fortune is a good side effect to have too. Btw, if you’re looking for a new feline companion, consider adopting one from a shelter or a rescuer. You can utilize websites like PetFinder or AdoptAPet to find the purrfect kitty. 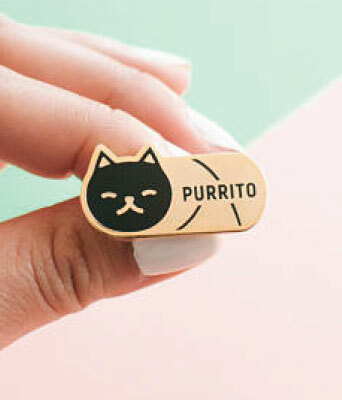 While these pins are adorable, unfortunately, you can’t be giving them to your cat. If you’re looking for a special way to pamper your cat, consider getting them some stocking stuffers for Christmas.